During our SOTG Homeroom from Crossbreed Holsters, we discuss an ugly subject but one that an armed citizen cannot ignore; dog attacks. How do you deal with an vicious animal that has committed to attacking you or another innocent person? The City of Sarasota says it wants to make streets and local families as safe as possible this summer. Gun owners can give the firearms they no longer want or need right to Sarasota P.D. instead of making it available on the resale market. 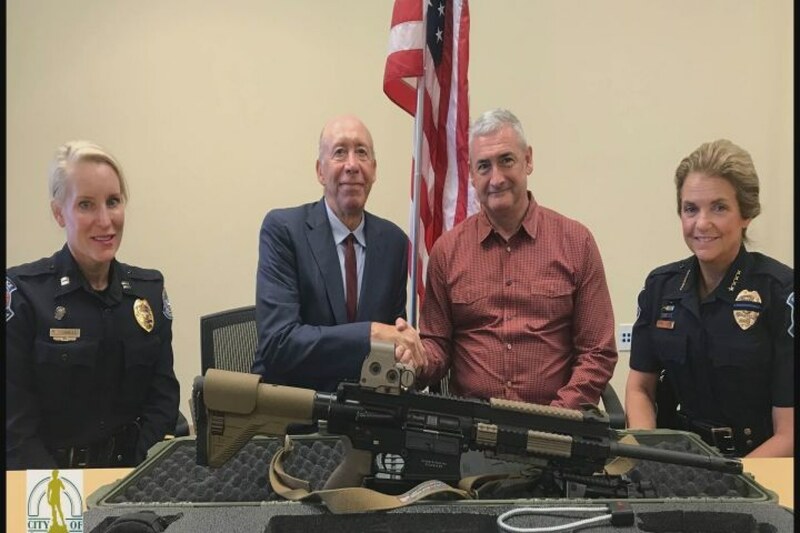 Phillip Carey served in the British Royal Navy early in his life, now the 20-year resident is serving the City of Sarasota, by giving away his military grade rifle. City Manager Tom Barwin says it’s something he wanted to do. It’s an act that has now led to the creation of a program called “Done with the Gun”. Barwin says it’s a collaboration between the city and Sarasota Police where anyone can relinquish a firearm they no longer need. The rifle donated by Carey will be used by the Police SWAT team, but most of the guns collected will be melted down. Barwin says, it’s just a step in the right direction.